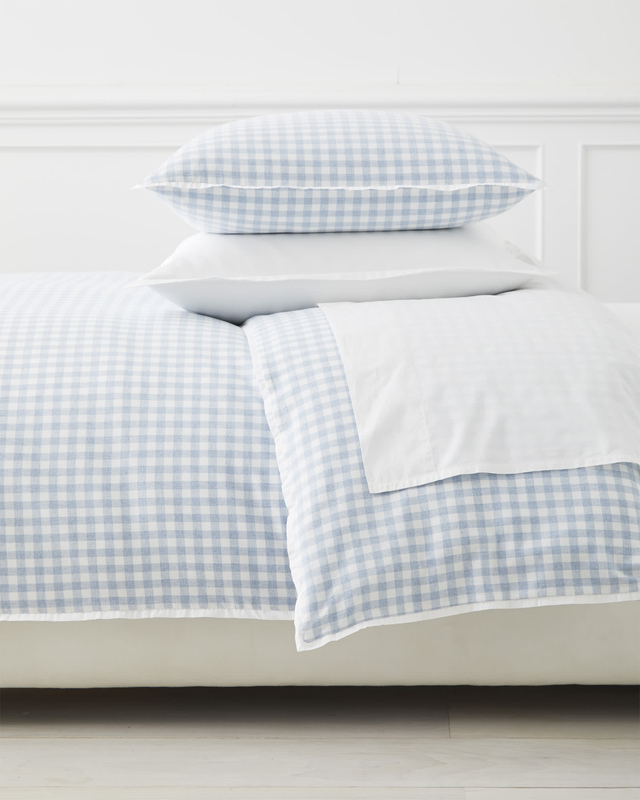 Dalton Flannel Duvet CoverDalton Flannel Duvet Cover, Chambray alt="Dalton Flannel Duvet Cover, Chambray"
Print The cozy feel of flannel meets a classic plaid inspired by men’s shirting. 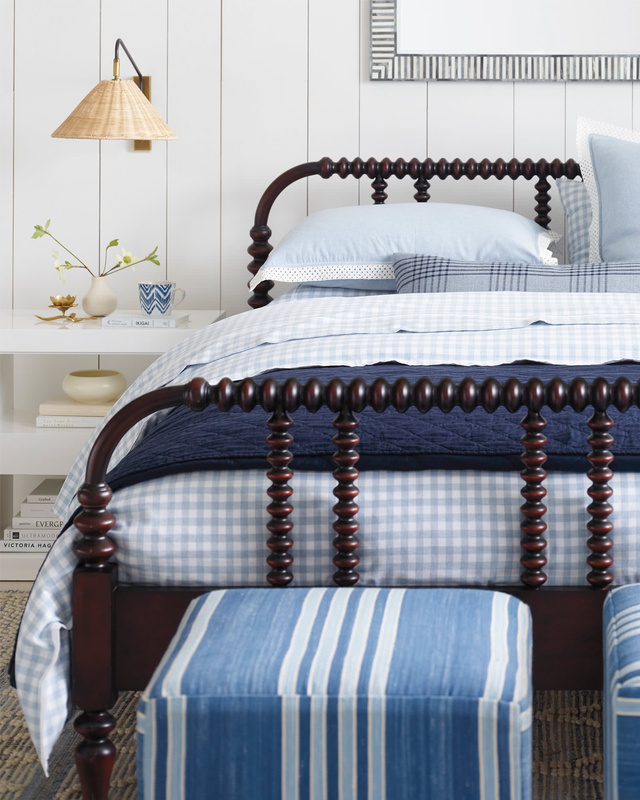 Heathering softens the look while a percale flange gives a polished finish. To get the smooth, inviting texture we were after, we travelled to a favorite mill in Portugal for their remarkable craftsmanship and used soft, eco-friendly cotton yarns. 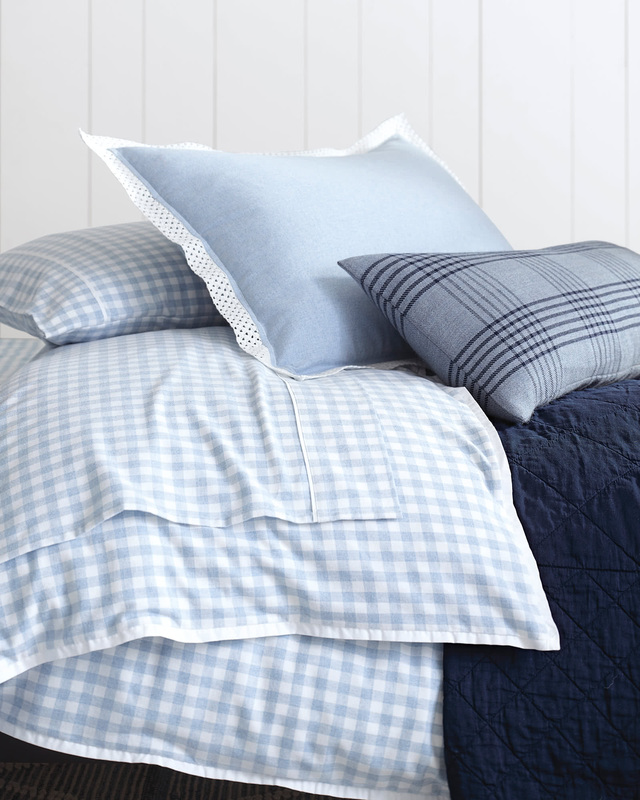 0.5” cotton percale flange and flannel-covered button closure. Inner ties keep the cover in place.